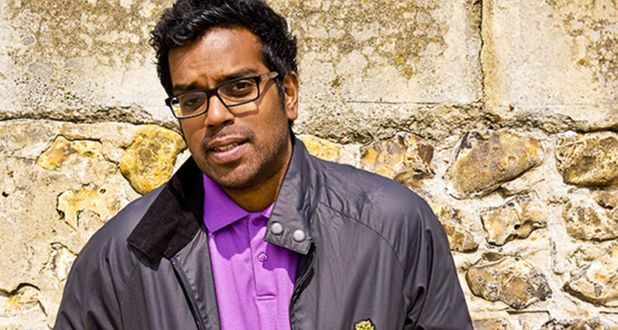 Romesh Ranganathan is highly tipped for big things this year, especially with an Edinburgh award nomination in the bag. This year’s venue was obviously booked before Ranganthan had become a regular on Mock The Week, as he has sold out his 100-capacity space until the end of the festival. Romesh takes the stage, after a loud hip-hop musical introduction, with ease and confidence. He is quiet and talks to the audience early, involving them in routines and nicknaming each contributor based on the answers they give to his questioning. His take on feminism – everybody has to have one this year, it seems – is that he is a “fake feminist”. He doesn’t believe that women should do all the housework and menial tasks, but his wife does them all anyway, and he fears that her lack of complaining will turn into a divorce, with no discussion whatsoever. This sort of overblown narrative is completely indicative of Romesh’s style, as he deals with issues such as picking a school for his children – choosing, as an ex-schoolteacher with an eye for these things, a school that eventually gets shut down for failing standards. He also fears he may be to blame for the rise of UKIP, as he is often less than polite in public – giving all Asians a bad name in the process. He has very well thought-out and professionally executed material, although his style is more befitting a large room, and the intimate space doesn’t give the audience enough anonymity to open up and give Ranganathan the reaction he deserves. He does receive some heckles, and deals with them in line with the comedy throughout his show – a combination of charm, charisma, and self-deprecation that supplements great routines and constitute a very good show indeed.